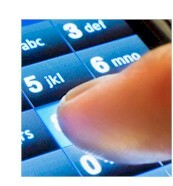 One of the most common uses of an IVR phone system is to provide directory information. Directories could include employee lists or simple product and address information. Callers can enter digits or alpha representations and our IVR software can lookup the request and play a corresponding message.